Air Namibia announced that its flights to Harare and Victoria Falls will commence with effect from the 28th of October 2018 while the days of operation remain unchanged. Windhoek to Harare is operated on Tuesday, Friday and Sunday whereas the Windhoek-Victoria Falls route is operated on Wednesday, Thursday, Friday, Saturday and Sunday. Zimbabwean officials attempted to impound an Air Namibia leased aircraft recently after a court in that country gave the order in response to a lawsuit brought against the airline by a Zimbabwean family. The family sued Air Namibia of US$1 million claiming that it was subjected to humiliation when it got deported in Namibia en route to Turkey after failing an immigration test. On 27 June 2018, the Zimbabwean high court made an Ex Parte order for the attachment of Air Namibia property or aircraft without notification. 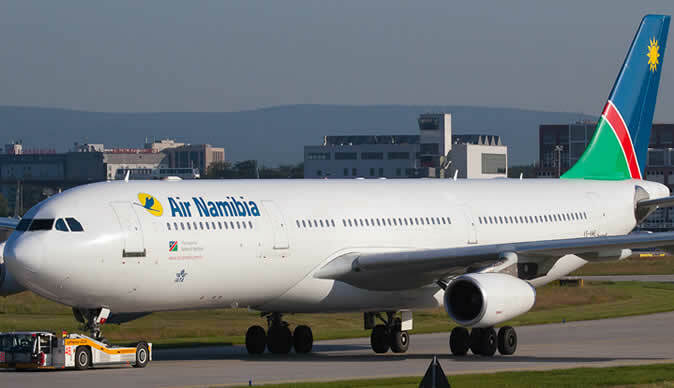 Air Namibia had suspended flights into Zimbabwe as it disputed the family's claim of victimisation and further argued that one of the planes that had almost been attached was a leased aircraft. An application was heard on the 23rd of October 2018 in which the airline was granted an extension of time to file an appeal and condonation was equally granted to file opposing papers by the Supreme Court in Zimbabwe. The latest Supreme Court order was made with costs against the passengers and Air Namibia has in the meantime said, "We are confident that this matter will come to a conclusion soon and trust that Air Namibia can count on your continued support, as we continue to offer the most professional and pleasant experience for our passengers."